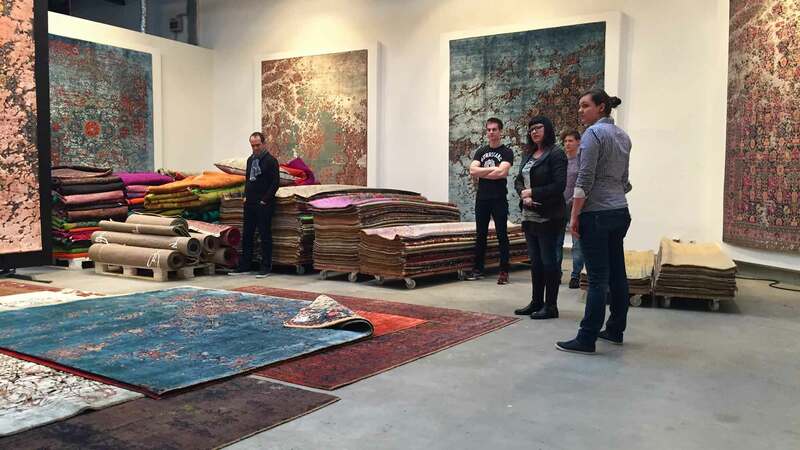 I’ve long been a proponent of drawing comparisons between the world of fashion and the world of rugs and carpets; the appeal is simply too irresistible. Iconic fashion houses producing the absolute finest articles of couture clothing with degrees of customization that, to be frank, can at times be envious, contrasted against the monotony of prêt-à-porter and the one-size-fits-some downmarket world of fast fashion; if only the French had a more vulgar sounding word to convey the harshness that comes with producing inexpensive commodity quality clothing. Or do they? I digress. The comparison is appealing because it is most of all accurate, especially today. 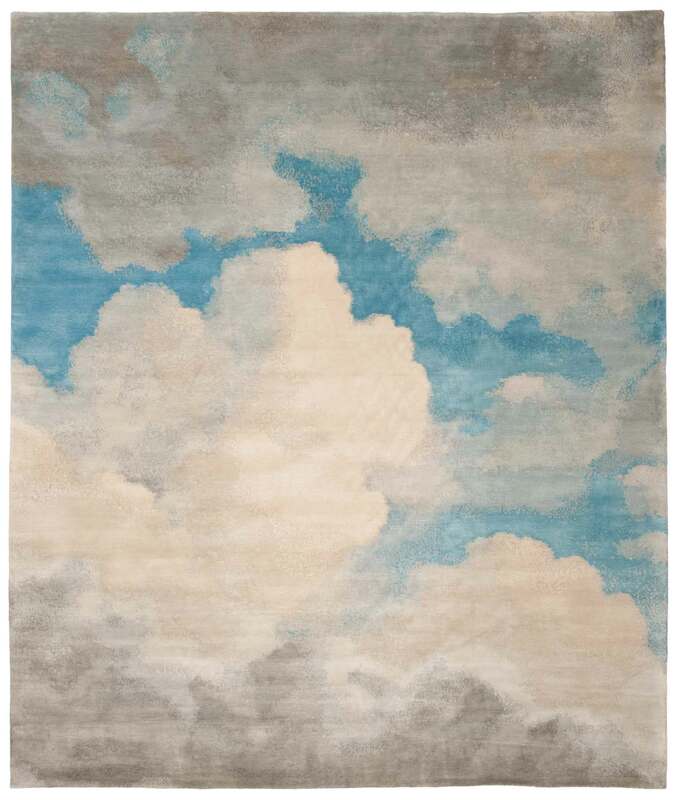 Rugs and carpets are available upmarket or down, but with virtually all levels purporting their wares – through whatever advertising means they so fancy – to be some form of penultimate creation eclipsing all others, how is anyone, especially as would be well educated consumers, to discern the authentically couture from the pastiche? With this in mind you can then rightly assume I was skeptical (and admittedly very intrigued) when news of ‘A Family Affair’ hosted by the self professed ‘couturier for floors’ Jan Kath reached my desk by way of a personal invitation from New York’s Kyle and Kath Showroom. As Kyle Clarkson, partner at Kyle and Kath, told me of the firm’s decision to forgo DOMOTEX and in its stead host an event at their Bochum, Germany homeoffice, my internal monolog was all but pronouncing sarcastically: ‘Scoff, scoff! ‘A Family Affair?’ We’ll see about that!’ And what of the marketing propaganda of Jan Kath espousing couturier as a moniker for the Teutonic carpet house? Should this be believed as well? In preparation for two (2) days of a fully immersive Jan Kath experience I had binge watched no less than fifteen (15) documentaries on fashion designers and their iconic houses. (Note: I highly recommend ‘Dior and I‘ and ‘Diana Vreeland: The Eye has to Travel‘ if you’ve but time for only two.) Time, and time again, regardless of the particular style and skill of the creative head, the success of the couture hinged decidedly upon the collective knowhow of the all the people involved. Combine that with the stereotypical German penchant for precision and Jan Kath’s ‘uncompromisingly conservative’ approach to quality production, and it is as though borrowing any wording from French is woefully inadequate. But to use a phrase that must suffice: savoir faire. The man and the firm of Jan Kath have it, and they wield it with deftness, style, and grace. Substitute ‘Dior and I’ with ‘A Family Affair’, Christian Dior with Jan Kath, Raf with Jan, fashion with carpets, seamstresses with weavers, and you have perhaps the best description of both the House of Kath and ‘A Family Affair’ that could ever be penned. 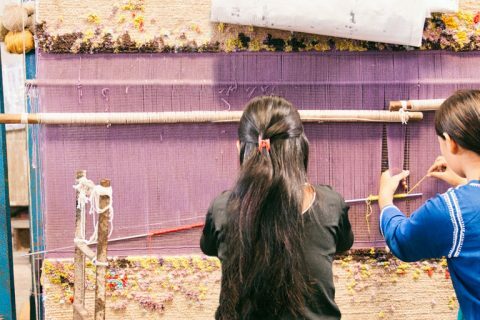 Removed from the hustle and bustle of DOMOTEX, ‘A Family Affair’ presented those in attendance with an enveloping and all encompassing experience, exposing everyone to everything that is Jan Kath. Part rug and carpet buying nirvana, part extended family reunion, this well crafted and choreographed event is precisely what elevates Jan Kath above the fray. Take for example ‘Tabriz Fashion Artwork’ from the now iconic ‘Erased Heritage Collection’. 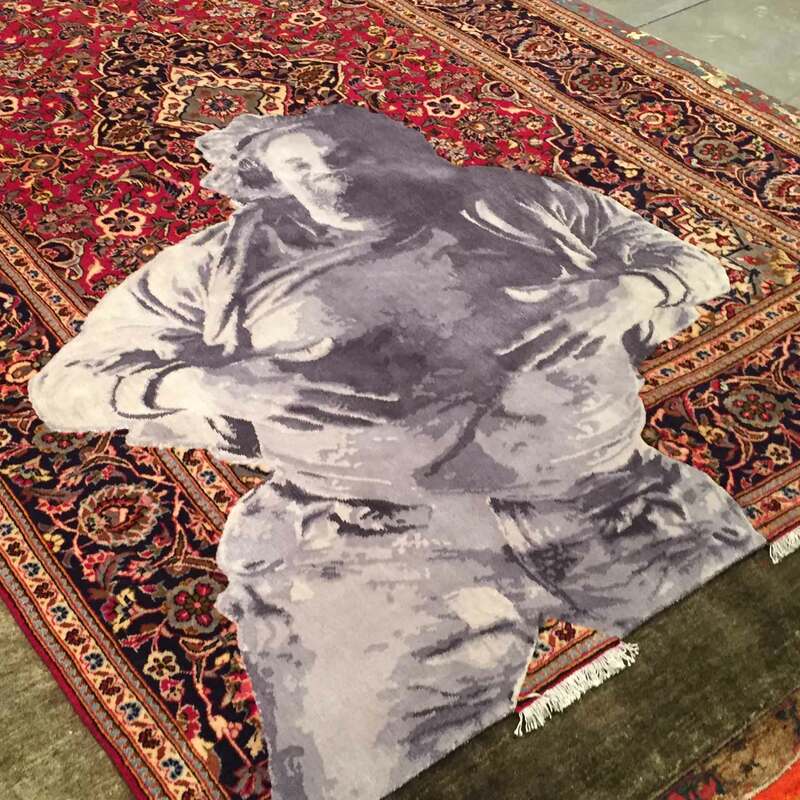 Just as Mr. Simons created a collection replete with ‘mysterious echoes from the iconic brand’s past’ so too does this carpet reflect not only the strong heritage of Iranian (Persian) carpet making, but the unique aesthetic and vision of Mr. Kath. Here Jan has taken a boldly coloured Tabriz design, incorporated the hallmark elements of the erased collection, and then layered all of that with the subtlety of colour to be found in his Artwork Collection. The latter element visible as the field or background of this carpet. To finish it off – literally – the edge binding (or overcasting if you will) is recycled and repurposed bare copper telephone wire, imparting a unique metallic sparkle unmatched by Lurex or silk. It’s of the rare caliber of carpet that is, to borrow from Mr. Simons once more: ‘sublime’ in it’s perfection. Jan Kath Showroom partners Jacques Miodownik (left), Jenni Finlay (third from left), and showroom staff listen as Jan Kath (off camera) explains elements of new carpets. 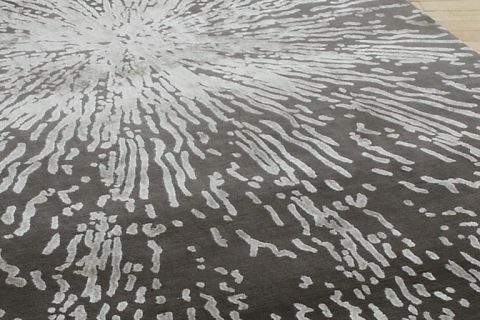 | Image from The Ruggist. For just a moment, imagine yourself standing listening to Jan explain this carpet to you. In a different time and place you would be at a trade show, your time limited, your attention focused on what’s ahead as opposed to what’s before you. Perhaps for whatever reason, you’re not overly keen on ‘Tabriz Fashion Artwork’ so you waffle on purchasing. Perhaps you’re hungry and a bit jet lagged so you beg off by saying ‘I need to go find some Lunch’. In either case you move on, perhaps (and likely) never to revisit this magnificent carpet. Ahhh, but not here. 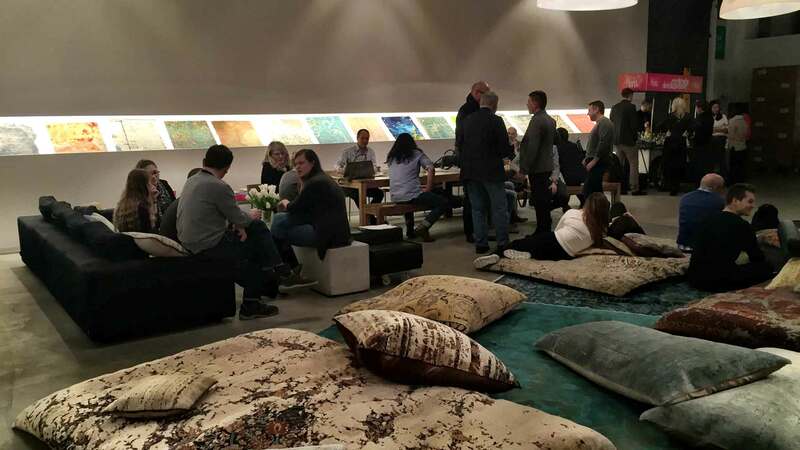 At ‘A Family Affair’ clients are not only free from the aforementioned trade show distractions but they have – dare we say – unprecedented access to Jan, the Jan Kath staff, and the camaraderie of some of the best carpet dealers in the world. Instead of retreating to some horribly disappointing restaurant you are invited to the lunch buffet in the company lunchroom, and seated amongst your extended rug family if you will. And there, between a world renown dealer from Italy, a third generation merchant from Beirut, Jan’s father Martin (himself a second-generation carpet trader), and an enviable guest list too long to detail, is the real beauty of an event such as ‘A Family Affair’. 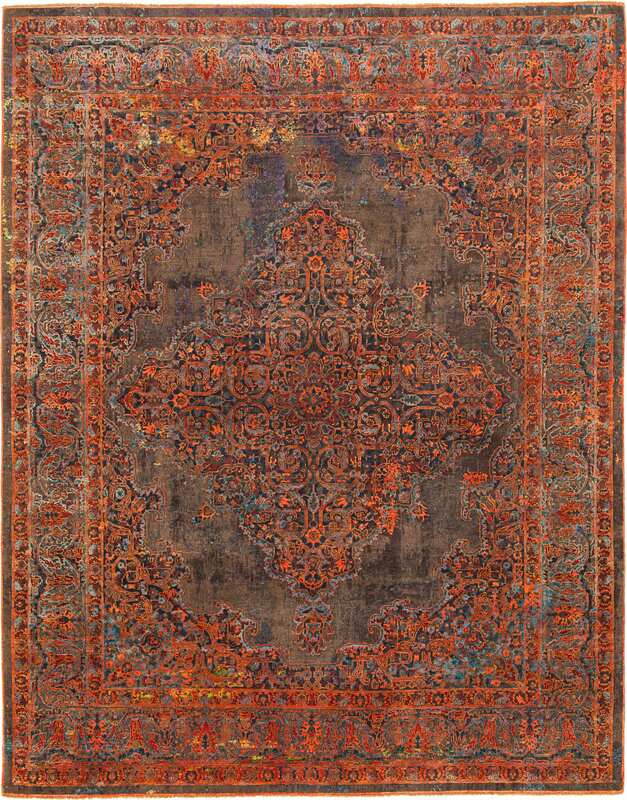 Though the ties that bind are not blood or genetic, the commonality of rugs and carpets, and moreover a quest for the supreme thereof, brings the same familiarity and kinship of a family reunion. Food and drink are consumed, stories are regaled, and opinions, opinions are shared with a fervent passion. Everyone is respectful, and with sharp hearing and an open mind much can be learned. It’s how I came to know of the ‘Tamreen Collection’ by Mohamed Maktabi, it’s why – after much convincing – I now appreciate the ‘Heiter bis Wolkig’ Collection, and it’s how the imaginary you might come to find new appreciation for ‘Tabriz Fashion Artwork’. But… but… but… What if, for varying reasons, none of the carpets presented here, or during ‘A Family Affair’ perfectly suit your needs? 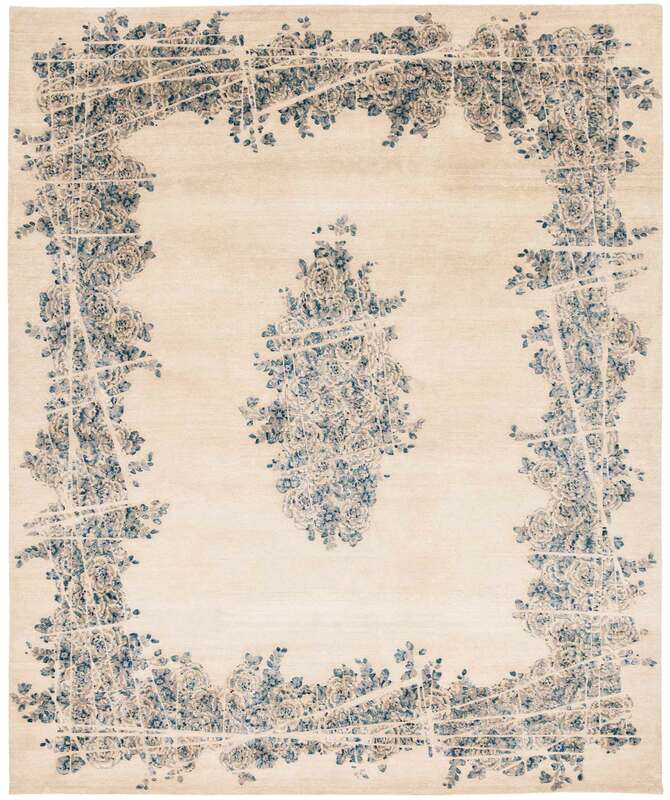 As a designer or architect, well educated consumer, or as a rug dealer the reasons are varied. 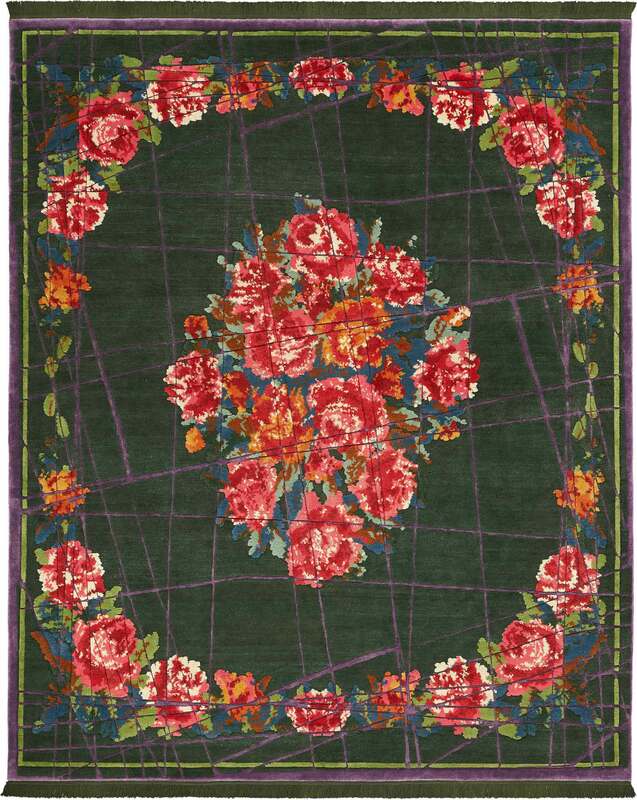 From the easily remedied ‘It’s the wrong size.’ to the slightly more difficult ‘It’s the wrong colour.’ any rug maker should be able to remedy the problem relatively quickly and confidently. On the other hand, what if we look again at ‘Tabriz Fashion Artwork’ and say ‘It would be better for my wants if it looked like a worn billiard table green Heriz, that has been mended in the style of Kintsukuroi.’ This is what distinguishes a true couturier from those not. The ability to build upon one owns work, and moreover present clients with the options they imagine but are unable to fully articulate. 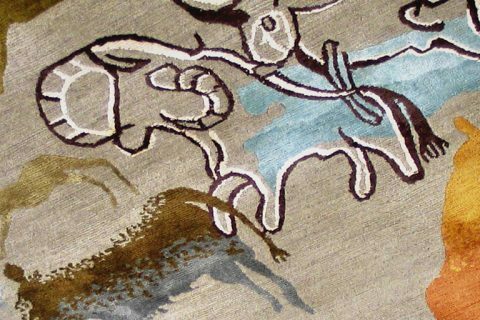 Jan Kath is but one of a handful of makers capable of not only making the carpet, but making it in a manner that conveys the essence of the description. Jan Kath’s Family Affair 2017 will take place 9-15 January 2017 in Bochum, Germany. | Image and graphics courtesy of Jan Kath. Disclosure: As with all guests of Family Affair, the firm of Jan Kath paid for round trip transportation from Hannover, as well as accommodations and meals for my excursion to Bochum.